All-New Yamaha Sport Shift 5-Speed Sequential Shift Transmission Yamaha breaks new ground with Yamaha Sport Shift, a sequential 5-speed manual transmission featuring Yamaha Chip Controlled Shift (YCC-S) technology. This system combines the power, durability and efficiency of a traditional manual transmission with an advanced automatic clutch system that replaces the foot-operated clutch pedal with sporty paddle shifters mounted to the steering column. Plus, a Launch System provides for thrilling take-offs. 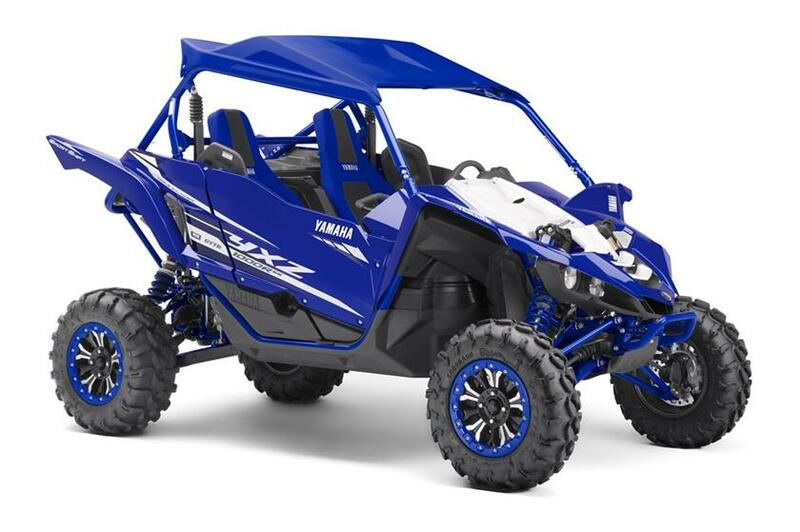 Unmatched Side-by-Side Performance The YXZ1000R SS SE is proof that Yamaha is the leader in powersports performance. Featuring a 998cc inline triple engine mated to an all-new Sport Shift 5-speed sequential shift gearbox with On-Command® 4WD, massive industry-first FOX® Racing X2 shocks front and rear, and styling the competition can’t touch, the YXZ® is in a class by itself—the only true pure sport side-by-side ever developed. Stunning 998cc Three-Cylinder Engine Featuring a compact DOHC twelve-valve cylinder head, an aggressive 11.3:1 compression ratio and high-tech dry-sump lubrication, the YXZ1000R SS SE engine offers jaw-dropping power, fantastic midrange torque and a thrilling 10,500 rpm redline. Built for the pure sport side-by-side enthusiast, there’s nothing else like it. All-New Terrain Conquering, Industry-Exclusive FOX® Podium X2 Shocks Huge piggyback twin-wall FOX® 2.5 Podium X2 Shocks bring a whole new level of adjustability by giving you high- and low-speed compression damping adjustments, as well as high- and low-speed rebound, all conveniently mounted to the top of the shock body. All shocks also feature dual springs with crossover adjustment—providing 16.2 inches front and 17.0 inches rear travel. Ergonomics Built for Performance The YXZ1000R SS SE cab features plush, high-back seats with extra lateral support and outside shoulder bolsters, and the cockpit is built to provide a balance of driving confidence with comfort. Shaped floorboards provide generous legroom while still giving a planted feel during aggressive driving, and both the driver’s seat and steering wheel are adjustable to ensure a perfect fit.